Mark Zuckerberg is flying to Rome to chat up local Facebook users, days after a devastating earthquake struck central Italy. The Facebook (FB) CEO announced his trip on Wednesday afternoon and said he will hold a live question and answer session while there on Monday. Anyone who has a question, Italy-related or otherwise, can leave it in the comments section of his post. It's unclear if Zuckerberg will visit any affected towns during his trip. 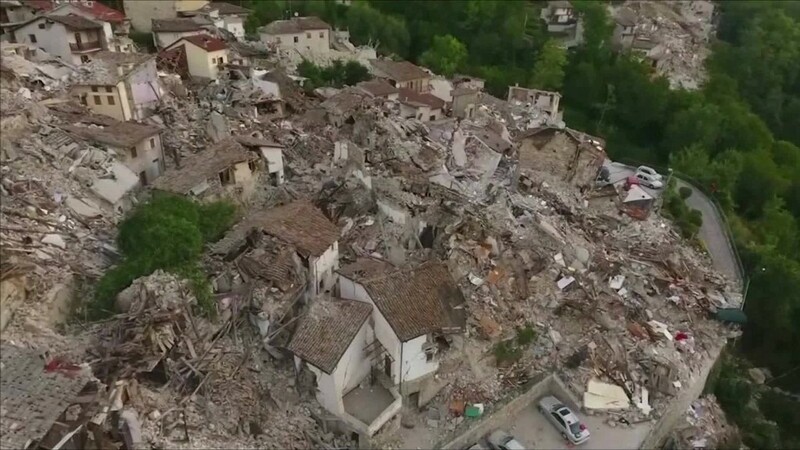 He said he was "looking forward to spending time with our Italian community after last night's earthquake in central Italy." He also said Rome was a special city to him. He and his wife Dr. Priscilla Chan honeymooned there, and Zuckerberg says he studied Latin and Classical history. Usually the act of a politician, visiting a country after a disaster would fit with his recent push to paint himself as a sort of Silicon Valley statesman. Zuckerberg has been carefully crafting his public image through Facebook posts, Q&As and public trips to places like China. The posts are a mix of personal (but professionally photographed) updates, promotions for the latest Facebook news, and light activism. The social network has also taken on an unexpected role in international disasters. After events like earthquakes, hurricanes, or bombings, people let friends and family know they're OK with Facebook's Safety Check feature. Launched in 2014, the tool started a side project and has quickly grown into a important feature for anyone trying to reach family. Facebook activated Safety Check in Italy Tuesday night after the 6.2-magnitude earthquake, which has left at least 132 people dead.